Experienced attorneys. Compassionate representation. Dedication to you. The attorneys at Wilcoxen Callaham have been practicing law for a combined 207 years. 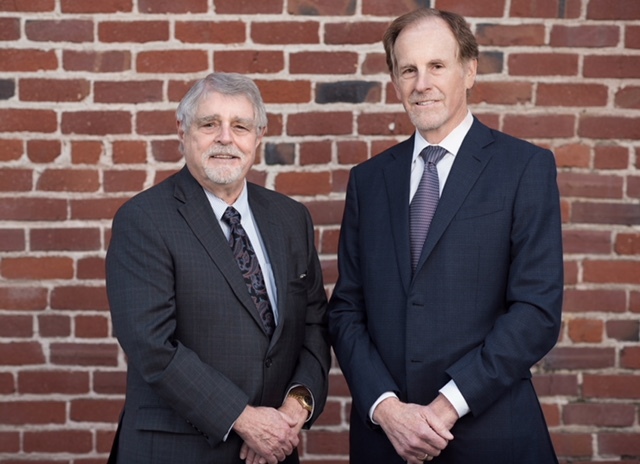 In 35 years of practice at our current office in Sacramento, we have been primarily a plaintiff's practice, handling cases that include product liability and all types of personal injury cases, including automobile accidents and dog bites. The firm also handles medical negligence cases and other professional liability work. Wilcoxen Callaham offers a free, no-obligation consultation so you can get your questions answered. We can't change the past, but the attorneys at Wilcoxen Callaham can help guide you toward the brightest future possible. At Wilcoxen Callaham, LLP, we're committed to standing up for injured Californians and fighting for their rights. We have years of experience in personal injury lawsuits, and our attorneys have track records of winning compensation for clients' medical bills and other hardships. Contact us today to discuss your rights and options if you've suffered a serious injury. Consultations are free. Drew Widders graduated college in Southern California with a degree in political science and a minor in health and life science. He moved to Sacramento in 2003 to attend the McGeorge School of Law at the University of the Pacific. After graduating in 2006, he obtained his license to practice law and has since been working under the guidance and expertise of senior partner Daniel E. Wilcoxen. Mr. Widders has worked with Mr. Wilcoxen on several complex cases, including a recent personal injury fire case in May 2012 for a recovery of $2.8 million. Mr. Wilcoxen and Mr. Widders also specialize in handling difficult lien issues. They recently worked together to obtain Court approval to reduce a $1.6 million dollar ERISA lien to $0. Mr. Widders is friendly and caring, and he relies on his strong work ethic to represent his clients and ensure they get the proper medical care to help recover from their injuries. He will do his best to ensure that his clients are fully compensated for both past and future injuries.